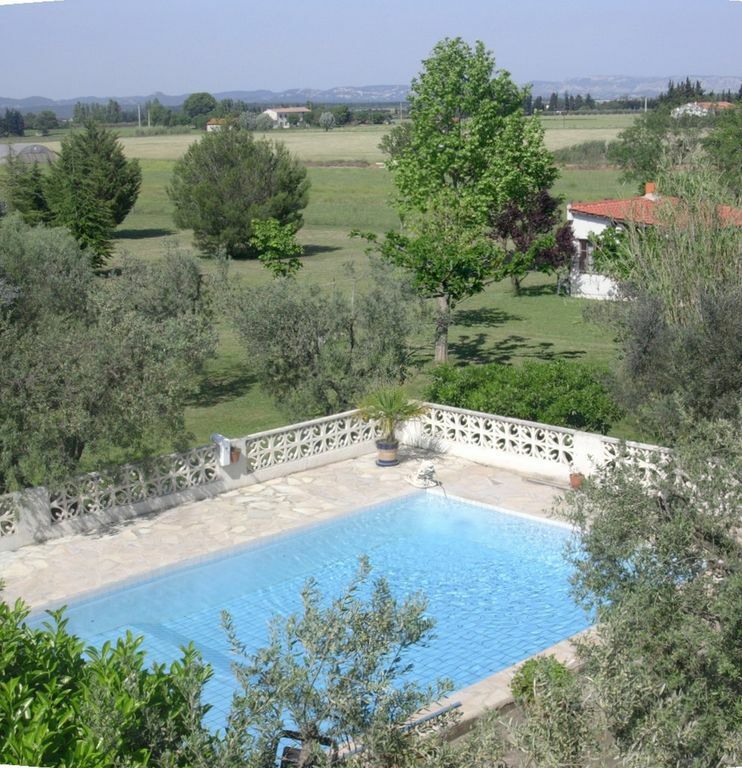 The house is located directly by a pool (5 x 8 m) in the midst of an olive grove. It consists of a living room (20 m2) with kitchen niche and mezzanine (elevated bed), a bedroom (double and single bed), as well as bathroom with a shower. The house is furnished for 4 people and has a terrace with garden furniture. The estate is located 5 km east of Arles at the edge of the Crau plain. It is bordered by the Alpilles to the north and the to the south.